Women’s Boxing Olympic Trials Day Three, 2/15/2012! What a great night of boxing! In the middleweight division, Claressa Shields continued to impress with her decisive win over world champion Andrecia Wasson by the score of 31-12. New York’s own flyweight Christina Cruz also fought a brilliant tactical fight against Tyrieshia Douglas to pull out a 20-15 decision. Christina Cruz will face the powerful heavy favorite Marlen Esparza on Thursday. Esparza who had a walkover in her opening bout, fought a rough and tumble bout against Alex Love taking the decision with a score of 22-12. In the lightweight division, Queen Underwood was truly on her game and in control taking the 27-20 decision from Mikaela Mayer who proved herself to be a tough challenger. Underwood will face N’yteeyah Sherman on Thursday who won a decisive victory over Tiaira Brown, 32-24 last night. 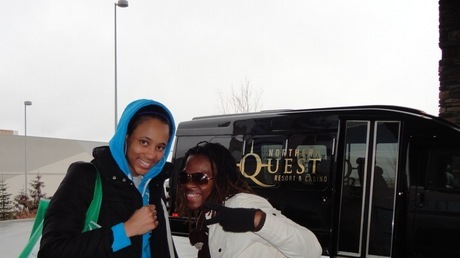 Underwood and Sherman last met in the 2011 USA Boxing National Championships. Press links can be found here: USA Boxing, The Spokesman-Review, Los Angeles Times, New York Times. Plus check out this article on the issues surrounding making weight to qualify for one of the three Olympic weight-classes open to women in the 2012 Olympics by Greg Beacham of the Associated Press. By the way, kudos to USA Boxing for the video streaming and especially to Christy Halbert for her great commentary! Tonight’s Bouts will be fought by the challengers — and will consist of six fights in total, two from each division. Winners in this double elimination tournament will have the opportunity to continue on Thursday. 112 lbs/challengers bracket: Tyrieshia Douglas, Baltimore, Md., vs. Taversha Norwood, Marietta, Ga.
112 lbs/challengers bracket: Virginia Fuchs, Kemah, Texas vs. Alex Love, Monroe, Wash.
132 lbs/challengers bracket: Tiara Brown, Lehigh Acres, Fla., vs. Bertha Aracil, Yonkers, N.Y.
132 lbs/challengers bracket: Asia Stevenson, Washington DC vs. Mikaela Mayer, Los Angeles, Calif.
165 lbs/challengers bracket: Tiffanie Hearn, Louisville, Ky., vs. Franchon Crews, Baltimore, Md. 165 lbs/challengers bracket: Raquel Miller, San Francisco, Calif., vs. Andrecia Wasson, Centerline, Mich.
Why women box? Courage, pure and simple. 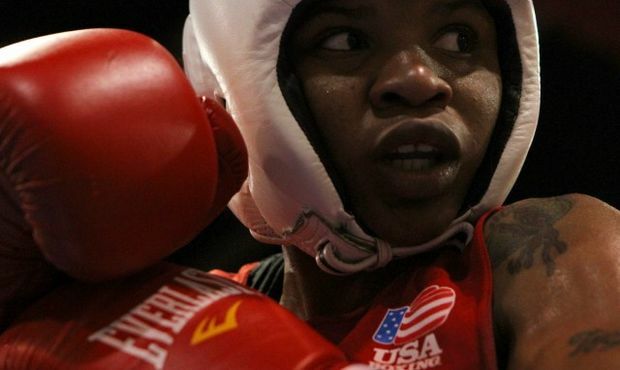 There have been some remarkable truths that have come out about the women who box. I found the following video about the featherweight boxing powerhouse Tyrieshia Douglas to be particularly moving. Please give this a view. Her honesty and straight forward compassion for her family are overwhelming. We need more people like Tyrieshia in the world. Kudos to Andre Chung for this beautiful video essay. 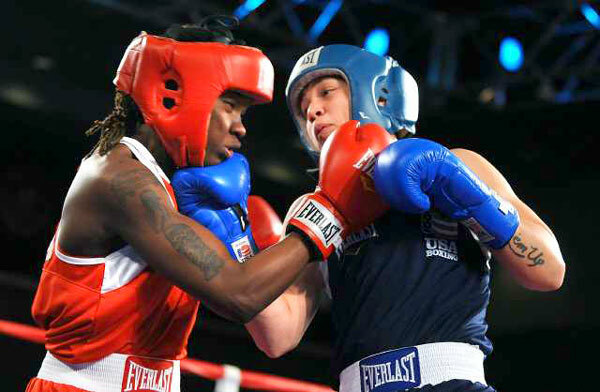 Please also listen to the WNYC Radio‘s story on her as well: Tyrieshia Douglas: Boxing is my Mother and My Father. 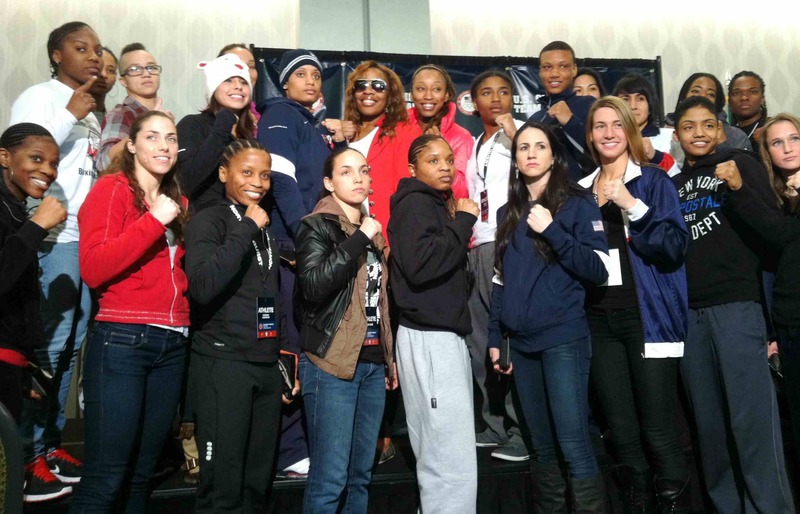 Women’s Boxing Olympic Trials Day Two, 2/14/2012! Saw this update in the Los Angeles Times. Link is here. For those of you who tuned into the live video stream, you got to watch some very exciting boxing last night! We’re talking all the drama of a prize-fight with some surprising outcomes such as Franchon Crews‘ loss to Claressa Shields, 31-19. Of course, being a New Yorker, I was cheering on Christina Cruz and was not disappointed. She fought a terrific four-round bout against Virginia Fuchs defeating her 15-12. One thing that came shining through was the caliber of the boxing! The competitors truly “brought it” last night! Press links on the night’s fighting can be found here: USA Boxing, Chicago Tribune (AP Story), The Seattle Times, and don’t miss Brooklyn’s own Sarah Deming’s piece in the Huff Post here. Tonight’s bouts can be viewed online at click the link here. 112 lbs/winners bracket: Marlen Esparza, Houston, Texas vs. Alex Love, Spokane, Wash.
112 lbs/winners bracket: Christina Cruz, New York, N.Y., vs. Tyrieshia Douglas, Baltimore, Md. 112 lbs/challengers bracket: Virginia Fuchs, Kemah, Texas vs. Latonya King, Harrison Township, Mich.
132 lbs/winners bracket: Queen Underwood, Spokane, Wash., vs. Mikaela Mayer, Los Angeles, Calif.
132 lbs/winners bracket: N’yteeyah Sherman, Barberton, Ohio vs. Tiara Brown, Lehigh Acres, Fla.
132 lbs/challengers bracket: Bertha Aracil, Yonkers, N.Y., vs. Lisa Porter, Northridge, Calif.
132 lbs/challengers bracket: Asia Stevenson, Washington DC vs. Patricia Manuel, Long Beach, Calif.
165 lbs/winners bracket: Claressa Shields, Flint, Mich., vs. Andrecia Wasson, Centerline, Mich.
165 lbs/winners bracket: Tiffanie Hearn, San Diego, Calif., vs. Tika Hemingway, Pittsburgh, Pa.
165 lbs/challengers bracket: Franchon Crews, Baltimore, Md., vs. Dara Shen, Alexandria, Va.
165 lbs/challengers bracket: Tiffanie Ward, Hacienda Heights, Calif., vs. Raquel Miller, San Francisco, Calif.
Women’s Boxing Olympic Trials Day One, 2/13/2012! The brackets have been set for this week’s historic competition. That is pretty heady stuff indeed with the action set to begin tonight with a total of twelve bouts starting at 7:00 PM tonight Pacific Time. You can watch ALL THE ACTION HERE!!! Just click on the link! For more information about tonight’s bouts click on the USA Boxing link here. For live stream information, click here.